Calling all locavores and beer lovers: the 2016 Beers Made by Walking event is nearly here! On Thursday, December 1st at 5pm, everyone’s invited to taste five special beers and a cider at The Bier Stein and the Tap & Growler. The fermented beverages will highlight local wild ingredients and reflect the influence of our watershed landscape on the creative minds of our local brewers. For the second year running, the McKenzie River Trust hosted three summer walks on their protected lands for brewers to gather inspiration for a special beer. 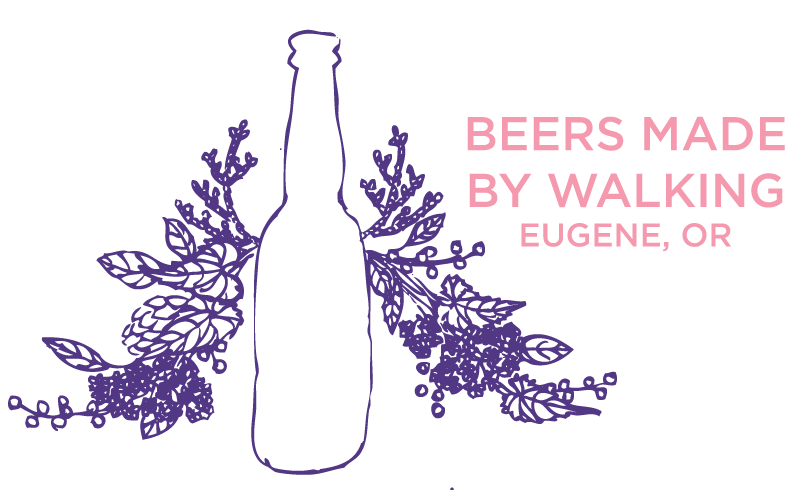 This year, The Bier Stein is joining forces with Eugene’s Tap & Growler to present the six fermented beverages brewed for this year's Beers Made by Walking, dividing the beers between each location at 5pm on Thursday, December 1st. The participating businesses are Agrarian Ales, Claim 52, Falling Sky, Oakshire, and WildCraft Ciderworks. Plus, there will be free samples of a homebrewed beer! 100% of the proceeds from each BMBW beer tapped that day will be donated to the McKenzie River Trust, which helps people protect and care for the lands and rivers they cherish in western Oregon. Additional support for the event was provided by Ninkasi Brewing. The walks took place on Green Island at the confluence of the Willamette and McKenzie rivers; the Hagen family’s Confluence Farm near Monroe; and the Andy Reasoner Wildlife Preserve in the Long Tom River watershed. Though the brewers are not permitted to harvest herbs from the protected properties, the professionally guided walks provide information about native, edible, and medicinal plants. The goal is to create a beer that reflects the land via creative choice of ingredients and/or production method. Participating breweries are: Agrarian Ales, Claim 52, Falling Sky, Oakshire, WildCraft Ciderworks, with some additional help from Ninkasi Brewing.